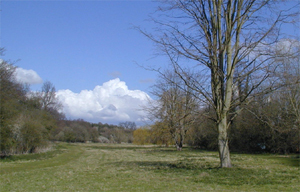 There are 2 areas of Common Land in the Parish, namely Watton Green and The Lammas. 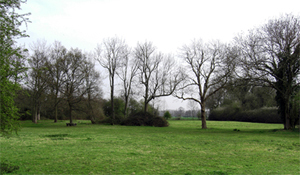 Watton Green is an ancient unenclosed 'common'. Within the medieval agricultural system, these were owned by the Manorial Lord and considered as 'waste lands' because they were not suitable for growing crops. Villagers had 'rights' to use this land for grazing livestock, collecting firewood (firebote) or tethering pigs. Interestingly, the site and adjacent earthworks of moated houses suggest that early village-settlement may have centred on Watton Green.